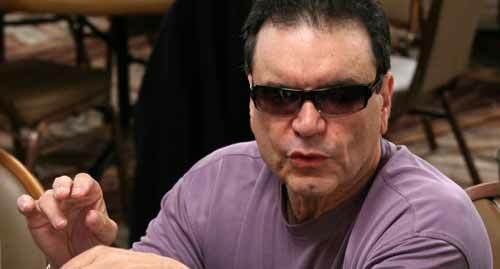 “Miami” John Cernuto is one of the most experienced and respected of the professional poker players. He has been playing poker for many years and entered the professional circuit about 18 years ago. His accomplishments speak for themselves. John Cernuto was born in Jersey City, New Jersey on January 11, 1944. He learned poker by playing the game around the kitchen table in home games. He graduated from Florida State University with a Finance major, but decided to go in another direction. He went to Miami to take a job as an Air Traffic Controller. Cernuto took to playing Texas Holdem Poker on breaks. It was all very hush-hush because it was not allowed by management. The workers kept score quietly and settled up on pay day. Cernuto knew that he was good, but he was not ready to leave his comfortable life in Miami. That was when fate stepped in and changed everything. Many Air Traffic Controllers were fired by then president Ronald Reagan because of their strike. There was nothing holding John Cernuto to Miami any more, so in 1981 he packed up with his retirement fund and headed to Las Vegas. After a false start, Cernuto moved back to Florida for a while before then returning to Las Vegas in 1986 for another go. He took a job with the Las Vegas Hilton to give him a wage to live off while he pursued his poker dreams. In 1988, he got a taste of victory when he entered and won a $50,000 Stud tournament. Shortly afterwards, he gave up the Hilton job and turned pro. 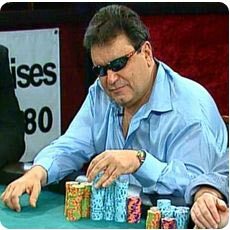 In 1989, “Miami” John Cernuto made his first World Series of Poker final table. He finished fourth at the seven card stud event that year. He went on to cash five more times at the WSOP between then and 1996. In 1996, Cernuto won his first WSOP bracelet. He came out on top in the Seven Card Stud Hi/Lo event, garnering a prize of $147,000. He followed that up the very next year with another WSOP bracelet win in the No Limit Hold ‘em event that came with a cash of $259,150. In 2002, John Cernuto won his third WSOP title in the Limit Omaha event. This is not surprising, since he is considered one of the best Omaha Hi/Lo players in the business. In 2003, he won the Legends of Poker HOE event and he won the third World Heads Up Poker Challenge in Vienna that year. In 2004, Cernuto won two Omaha Hi/Lo events. One of them was in the L.A. Poker Classic. The other was in the WPT Bay 101 Shooting Stars. In 2005, he kept up his professional status with a final table at the WPT Poker Stars Caribbean Adventure event. 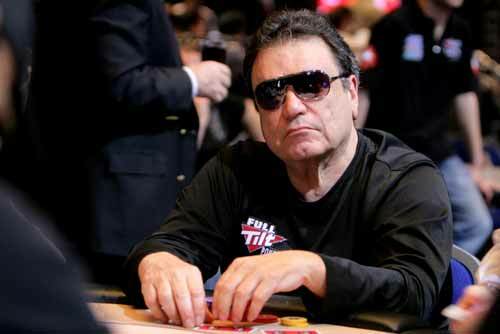 2006 was another good year for Cernuto, making final tables in three WSOP events and participating in his other interest, the 2006 Ultimate Blackjack Tour. His winnings total $5.4 million and he has won three best overall player awards. Cernuto caused concern at the 2009 World Series of Poker when he collapsed during the $2,500 Razz event. He was carried off on a stretcher and taken to hospital where it was found he was suffering from internal bleeding. It didn’t take him long to turn his mind back to poker, when later that night he phoned tournament director Nollan Dalla to find out what happened on the hand he was involved in when he collapsed and whether he won! John Cernuto, a Las Vegas resident, lives with his wife and three kids. When he is not playing poker in tournaments around the world, he is playing poker online at Full Tilt Poker. 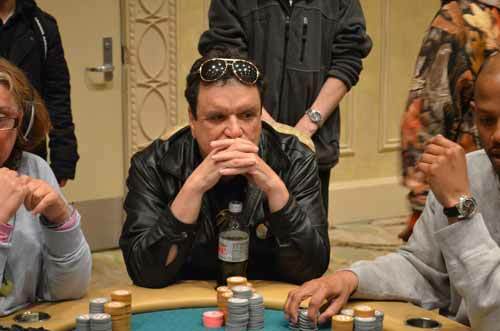 Want to Chat and Play Poker with John Cernuto?